ANOTHER area of Portsmouth could become a residents' parking zone. 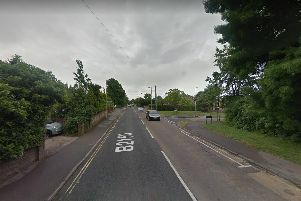 Council officers have recommended that the authority’s transport boss, Cllr Lynne Stagg, approves plans for a permitted area at the northern end of Twyford Avenue in Stamshaw. If proposals are given the green light only residents with permits would be able to park on the road between 2pm and 10pm, in what would be known as FH zone. Pam Turton, the council's assistant director of transport, said: 'Each parking zone is designed to address the specific issues residents highlight in their area. 'Our informal survey of the Twyford Road area showed 75 per cent of residents who responded were in favour of a permit scheme, largely due to their close proximity to the Mountbatten Leisure Centre. 'Residents also told us that the majority of parking problems occur during the afternoon, evening and overnight. 'The information provided by residents shaped the formal parking zone proposed under this Traffic Regulation Order (TRO). It is thought that the advertising of the TRO and the zone's set up, including signs and line marking, would cost around £1,600. The survey garnered four responses, three of which were in favour. One resident said: 'I voted no to this scheme and do not see any advantage to my own household if it is implemented, other than generating additional revenue for the council. However, those in support still voiced concerns in the survey. One resident said: 'There still will not be enough parking spaces for the number of cars as it is a very small stretch of road without double yellow lines. The decision will be made at a traffic and transport meeting on Thursday.